Château Cheval Blanc, Saint Emilion is not a member of Wein‑Plus yet. By creating Château Cheval Blanc saved filter, you will see relevant matches on your home screen. The winery is located in the area Saint-Emilion (Bordeaux) immediately on the border with Pomerol, The origin dates back to the middle of the 18th century. In 1832 a Monsieur Ducasse bought the estate and renovated the vineyards. His son-in-law Jean Laussac-Fourcaud (later Fourcaud-Laussac) took over in 1852 the line. This acquired 15 hectares of vines from Château Figeac and some neighboring goods. The present condition of the estate dates from 1871. At the World's Fair in London in 1862, in Paris in 1867 and in Antwerp in 1885, the red wine won medals on the label are shown. In 1927, the company "Société Civile du Cheval-Blanc" was founded, the estate remained until 1998 in family property. Pierre Lurton was appointed director in 1991. 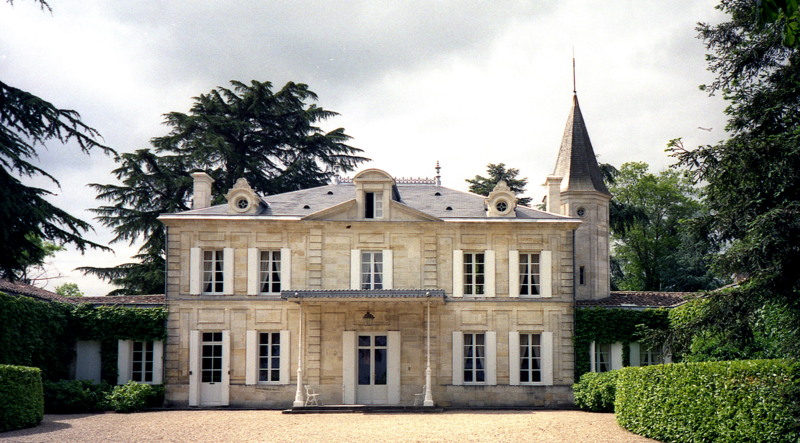 In 1998, the estate was owned by Belgian Albert Frére and executive director of luxury goods group LVMH, Bernard Arnault Bought. The prize has not been published, but at least one billion francs are said. In August 2009 then took over LVMH a 50% stake through the purchase of Arnault's shares. The winery has been ranked highest in all classifications until 2012 with the highest "Premier Grand Cru Classé A" (some even more) and has the same reputation as Saint-Émilion Château Mouton-Rothschild in Médoc. The vineyards with 37 hectares of vineyards are with Cabernet Franc (60%), Merlot (37%), Malbec = Cot (2%) and Cabernet Sauvignon (1%). As a novelty for the area, the red wine is pressed with a very high proportion of Cabernet Franc. Due to the iron-containing gravel and sand soil, the variety reaches a level of maturity on clay that is not found anywhere else in Bordeaux. The extremely long-lasting wine matures for 20 months in 100% new oak barrels. Outstanding vintages with partly astronomical prices are 1921, 1947, 1982, 1986, 1989, 1990, 1998 and 1999. A 6-liter bottle ( impériale ) Château Cheval Blanc born in 1947 was acquired by a private collector from Geneva (Switzerland) for an incredible 219,000 euros. He is one of the most expensive wines in the world, In the frosty year of 1991, there was no first wine. The second wine is called "Le Petit Cheval".